The Zoological Garden, Alipore (also informally called the Alipore Zoo or Calcutta Zoo) is India's oldest formally stated zoological park (as opposed to royal and British menageries) and a big tourist attraction in Kolkata, West Bengal. It has been open as a zoo since 1876, and covers 18.81 ha (46.5 acres). It is probably best known as the home of the now expired Aldabra giant tortoise Adwaita, who was reputed to have been over 250 years old when he died in 2006. It is also home to one of the few captive breeding projects involving the Manipur brow-antlered deer. One of the most popular tourist attractions in Kolkata, it draws huge crowds during the winter season, especially during December and January. The highest attendance till date was on January 1, 2018 with 110,000 visitors. To those who can remember the dirty and rather dismal looking approach to Belvedere, the improved and satisfactory condition of the neighbourhood, at present, must afford a very striking contrast. Both east and west of the roadway leading from the Zeerut bridge were untidy, crowded unsavoury bustees. Today we shall find on the site of the old bustees the Calcutta 'Zoo.' A very large share of the credit for the establishment of this pleasant resort is due to Sir Richard Temple, who was Lieutenant Governor of Bengal from 1874 to 1877, but long before the scheme assumed any proper shape, Dr. Fayrer, C.S.I., in 1867 and again in 1873 Mr. L. Schwendler (known as the 'Father of the Zoo') had brought forward and strongly urged the necessity of a Zoological Garden…The visit to Calcutta of His Majesty King Edward the Seventh, then Prince of Wales, was seized upon as an auspicious occasion. On 1 January 1876, the gardens were inaugurated by His Royal Highness, and in May of the same year they were opened to the public. The park was initially run by an honorary managing committee which included Schwendler and the famous botanist George King. The first Indian superintendent of the zoo was Ram Brahma Sanyal, who did much to improve the standing of the Alipore Zoo and achieved good captive breeding success in an era when such initiatives were rarely heard of. One such success story of the zoo was a live birth of the rare Sumatran rhinoceros in 1889. The next pregnancy in captivity occurred at the Cincinnati Zoo in 1997, but ended with a miscarriage. Cincinnati Zoo finally recorded a live birth in 2001. Alipore Zoo was a pioneer among zoos in the 19th century and the early part of the 20th century under Sanyal, who published the first handbook on captive animal keeping. The zoo had an unusually high scientific standard for its time, and the record of the parasite genus Cladotaenia (Cohn, 1901) is based upon cestodes (flatworms) found in an Australian bird that died at the zoo. Kalākaua, the last king of Hawaii, visited the zoo on 28 May 1881 during his world tour. The zoo has also, in the past, attracted a lot of criticism for keeping single and unpaired specimens of rare species like the banteng, great Indian one-horned rhinoceros, crowned crane and the lion-tailed macaque. Lack of breeding and exchange programs has led to the elimination of individuals and populations of environmentally vulnerable species like the southern cassowary, wild yak, giant eland, slow loris and echidna. The zoo had also been criticized for the quality of its animal - visitor interaction. Teasing of animals was a common occurrence at the zoo, though corrective measures are now in place. On 1 January 1996 the tiger Shiva mauled two visitors as they tried to garland it, killing one, and earning him the runner-up for the Darwin Awards. Another mauling leading to a death occurred in 2000. The zoo has also been criticized for its animal - keeper relations. A chimpanzee attacked and severely injured its keeper in Alipore Zoo, and numerous other incidents have been reported including the case of an elephant trampling its mahout to death in 1963 which had to be put down. In 2001, it was revealed that zoo staff drugged the great Indian one-horned rhinoceros into relieving itself more often than normal, which enabled them to collect the urine and sell it on the black market as an anti-impotence medicine. The zoo attracted flak from the scientific community in general, because of cross breeding experiments between lions and tigers to produce strains like tigons, and litigons (see Panthera hybrid). The zoo bred two tigons in the 1970s – Rudrani (b. 1971) and Ranjini (b. 1973) were bred from the cross between a royal Bengal tiger and an African lion. Rudrani went on to produce 7 offsprings by mating with an Asiatic lion, producing "litigon"s. One of these litigons, named Cubanacan survived to adulthood, stood over 5.5 feet (1.7 m) tall, measured over 11.5 feet (3.5 m) and weighed over 800 pounds. It died in 1991 at the age of 15. It was marketed by the zoo as the world's largest living big cat. All such hybrid males were sterile. Quite a few of these creatures suffered from genetic abnormalities and many died prematurely. Rangini, the last tigon in the zoo, died in 1999 as the oldest known tigon. The zoo has stopped breeding hybrids after the 1985 legislation passed by the Government of India banning breeding of panthera hybrids after a vigorous campaign by the World Wide Fund for Nature (then World Wildlife Fund). The zoo remains one of the most popular winter tourist attractions in Kolkata. The footfall figures in 2016 showed an annual visitation of almost 3 million — more than any other tourist attraction in Kolkata, and a peak of over 81,000 on Christmas Day and New Year's Day. The zoo displays a large number of crowd-pulling megafauna, including the royal Bengal tiger, African lion, Asiatic lion, jaguar, hippopotamus, great Indian one-horned rhinoceros, reticulated giraffe, Grant's zebra, emu, and Indian elephant. Previously, other megafauna like the Panthera hybrids and the giant eland were present. The zoo sports a large collection of attractive birds, including some threatened species - large parrots including a number of macaw species, conures, lories and lorikeets; other large birds like touracos and hornbills; colourful game birds like the golden pheasant, Lady Amherst's pheasant and Swinhoe's pheasant and some large flightless birds like the emu, cassowary and ostrich. Laid out on 45 acres (18 ha) of land, the Calcutta zoo has been unable to expand or modify its layout for over 50 years, and thus has a rather backdated plan. It contains a Reptile House (a new one has been built), a Primate House, an Elephant House, and a Panther House which opens out onto the open air enclosures for the lions and tigers. It also boasts of a glass-walled enclosure for tigers, the first of its kind in India. A separate Children's zoo is present, and the central water bodies inside the zoo grounds attracts migratory birds. The most famous specimen in the zoo was probably the Aldabra giant tortoise "Adwaita", gift when it died in 2006 – a contender for the longest lived animal. The zoo was among the first zoos in the world to breed white tigers and the common reticulated giraffe. While it has successfully bred some megafauna, its rate of breeding rare species had not been very successful, often due to lack of initiative and funding. One notable exception is the breeding programme of the Manipur brow-antlered deer, or thamin which has been brought back from the brink of extinction by the breeding program at the Alipore Zoo. An "Adopt an Animal" scheme began at the Alipore Zoological Gardens in August 2013 as a way to obtain funding for the zoo. About 40 animals were adopted as of August 2013 The adopters receive tax benefits, are allowed to use photos of the animals in promotional materials, and get their name placed on a plaque at the animal's enclosure. Sanjay Budhia, chairman of Confederation of Indian Industry (CII) national committee on exports, adopted a one-horned rhino. Ambuja Group chairman Harsh Neotia and Narayana Murthy of Infosys have requested to adopt animals. ^ "Kolkata Zoo: History of the Zoological Garden". kolkatazoo.in. Kolkata Zoo. Retrieved 10 March 2011. ^ Cotton, H.E.A., Calcutta Old and New, 1909/1980, pp783-784, General Printers and Publishers Pvt. Ltd.
^ Walker, S.: Ram Brahma Sanyal – the first zoo biologist. Zoos' Print Journal Vol. 15, No. 5 (1999), Back when . . . & then? section, p. 9. ^ "Ellora Caves". UNESCO World Heritage Centre. Retrieved December 16, 2016. ^ "geocities". Archived from the original on 25 October 2009. ^ Finn, Frank, (1907) Ornithological and other oddities. John Lane, The Bodley Head. London. ^ Roy, Shobha (18 August 2013). "Under foster care". The Hindu. Retrieved 18 August 2013. ^ "Narayana Murthy to adopt animal at Kolkata zoo". 2 August 2013. Retrieved 18 August 2013. 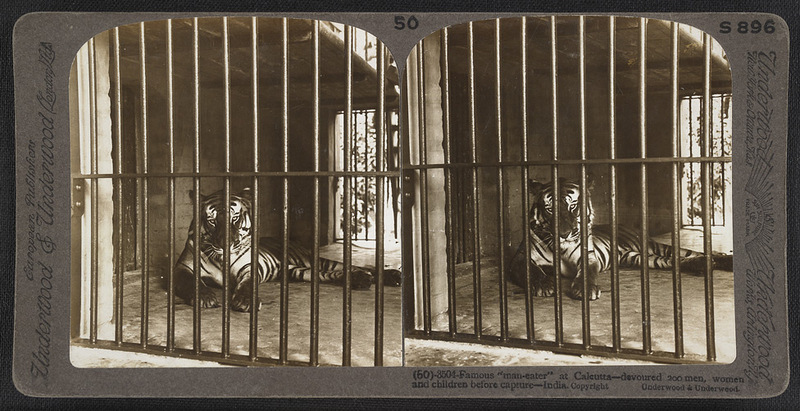 Wikimedia Commons has media related to Alipore Zoological Gardens.